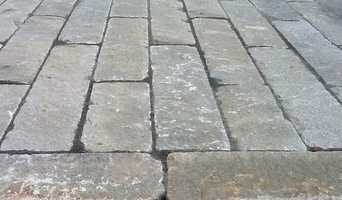 Olde New England Granite is a national supplier of a wide variety of reclaimed granite products. Hand-split granite fence, outdoor shower and stone hedge ensembles highlight our outdoor showroom situated at our new acre and a half facility that we call our “Granite Gallery”. Our visitors will also find, in regular rotation, good quantities of granite curbing, original and sawn - thermaled steps and landings, “historic” pavers, cobblestones, pier and foundation block, monuments, original and hand-split granite lamp and hitching posts, water feature ensembles and other unique granite relics from the past. We ship coast to coast. Old Station Outdoor & Landscape Supply, Inc.
*Authorized Techo-Bloc Dealer Welcome to Old Station Supply – The Natural Stone & Veneers Specialists: where homeowners, contractors and builders can find a full line of superior quality products for landscape, hardscape, building materials, masonry supplies and much more with the best prices, customer services and affordable deliveries to help you keep your projects on tracks. *Authorized Techo-Bloc Dealer* South Shore Landscape Supply is Massachusetts leading supplier of professional landscape and hardscape products for both commercial and residential projects. Conveniently located in Rockland, MA., we offer a large selection of real bark mulch, loam, natural stone, and landscape products. We also carry a broad range of grass seeds and fertilizers. We cater to all types of shoppers including home owners, weekend gardeners, do it yourselfers, and valued contractors. Our approximate 1,000 square foot in-store display will give you ideas and inspiration. If you are looking for high-quality landscape supplies which will give you professional results to complete your residential or commercial projects, you’ve arrived at the right company. If you can’t find what you want we can order it for you. We are New England’s largest online catalog of landscape supplies; shop online or in-store and we will deliver to you! Give us a call today! Sam White & Sons Inc.
*Authorized Techo-Bloc Dealer* Check out our new 2014 Product Line! 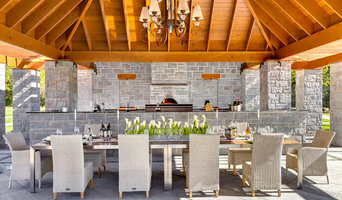 We now carry a much larger range of outdoor living elements, such as Holland Grills and Outdoor Fireplaces. For your convenience, try One Stop Shopping at Sam White & Sons Inc. For all of your landscape supplies let Sam White & Sons supply your next project with our quality materials. Available for pick-up at any of our 3 locations or fast, reliable delivery from our fleet of radio dispatched trucks. Sam White & Sons specializes in supplying fellow landscapers and homeowners with the products necessary to enhance their landscape and outdoor living spaces. With over 60 years of service under our belt, Sam White & Sons is proud to have established ourselves as a dominant force in the landscape industry throughout Massachusetts. Stonegate Gardens is one of New England’s most unique nurseries for specimen tree, shrubs, unusual conifers and a vast selection of perennials and annuals. Located west of Boston in historical Lincoln, Massachusetts, Stonegate Gardens is situated on over 5 acres of land near the Massachusetts Audubon Society, Codman Farm and Walden Pond. In 1998, owner Bruce MacDowell purchased the former nursery and farm stand and transformed it into what you see today- a beautifully landscaped environment consisting of fieldstone retaining walls, brick walkways, bluestone terraces and a fieldstone barn with connecting waterfalls. Stonegate Gardens provides an exceptional selection of plant material- specializing in unique seasonal plantings, container planting, personalized garden design consultation and installation. Stonegate also features a full service floral design studio. 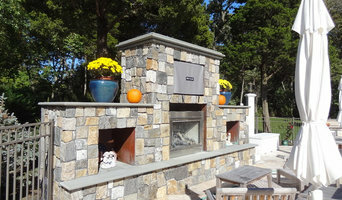 Landscape & Hardscape Supply Company carrying Natural Stone, Veneer (Ledgestone, Mosaic, Sq & Rec, Ashlar, Rounds), Granite, Bluestone, Cobblestone, Fieldstone, Travertine, Pennsylvania thins, Stand Up Broken, Curbing, Pavers, Wall/Pillar Material, Caps, Coping, Treads/Steps, Gas/Wood Fireplaces & Fire Pits, Mailbox/Lighting Posts, Photo-luminescent Pavers, Wall/Paver/Step Solar lights, Outdoor Living Space/Kitchen Materials & much more. Authorized Unilock and Stoneyard.com Dealer. Bigelow Nurseries, Inc. is a large multigenerational grower with a thriving retail garden center and wholesale nursery division in Central Massachusetts providing New England with quality hardy plant material since 1915. Growing on over 700 acres, the nursery produces an excellent palette of Northern grown shade and flowering trees, evergreen and deciduous shrubs and perennials complimented by carefully chosen plants from other quality growers. We pride ourselves in carrying a huge selection of plant material, maintaining one of the largest above ground tree and evergreen inventories in the country, as well as literally thousands of container shrubs and perennials. We have also specialized in growing natives for decades and offer dozens of varieties suitable for both the homeowner wanting to attract butterflies or birds or the landscape professional doing wetland restoration. Our staff, throughout the company, is smart and horticullturally fluent, priding itself on excellent, friendly customer service. Sales through delivery personnel fully support the concept that your success is what insures ours, and we want to do all we can to contribute to that success. We energetically support both our industry’s and the environmental communitiy’s efforts to educate regarding the critical role that plant material plays in clean water, habitat restoration, shore erosion, nutrition, and quality of life. We are active in local, state and national horticultural associations and entities that pursue these ends. We are proud to be growing green since 1915. The premier landscape design and garden store on the South Shore. Kennedy's is a 3rd generation family owned and operated Garden Center and Landscape design company. Kennedy's is voted every year as the best garden store on the South Shore. Kennedy's sits on the 5 acre nursery overlooking the mouth of the North River. We have been designing inspiring landscapes since 1960. Come visit our nursery, greenhouses, gift shop, plus our many display gardens and event patio. At Delahunty Nurseries & Florist our goal is to maintain one of the largest inventories of healthy, vigorous plant material in southern New Hampshire. Our highly experienced and knowledgeable staff is waiting to provide you with exceptional customer service and advice. If you're a novice gardener or an experienced landscaper, satisfaction is guaranteed. Offering wholesale plants, as well as retail , we have what you are looking for, or will find it for you! We even have mulch, screened loam, super loam and compost. Buy by the bag or have it delivered! Stop into our flower shop for everyday flower bouquets, holiday arrangements, gift baskets, houseplants and more! Conveniently located just minutes from route 93 and the Massachusetts border in tax free Windham, NH, finding us is easy. Throughout Massachusetts – from the Bay Club at Mattapoisett to Black Rock Community in Hingham, from Charles River Landing in Boston to Highland Meadows in Weston – pockets of exquisitely landscaped properties stand out like gems. Spectacular bluestone terraces, meandering fairways, beautifully manicured lawns bordered by lush gardens, business park entrances accented by waterfalls – these are the signature of Spillane’s Nursery and Landscape Company. Since being founded in 1978, Spillane’s has grown to become one of New England’s premier full-service landscaping companies. For every project – big or small – we are dedicated to making sure it’s completed on time, on budget and to your exact specifications. Drawing upon our extensive in-house resources, an arsenal of heavy equipment and decades of experience, we literally transform bare dirt into lush, fully landscaped properties designed to last generations. From site prep, irrigation install, to hydro-seeding to the final finish by planting appropriate materials cultivated at our own 50-acre nursery, Our focus never wavers – our commitment to enhancing the value and beauty of your property is always foremost in our minds working with each client one-on-one. Let's Get Started! Contact Us Today. 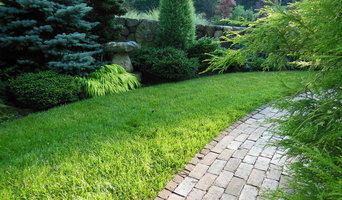 Landscapers Depot offers southern New Hampshire, northern Massachusetts and the Merrimack Valley the largest selection and showroom of landscape supply and masonry supplies for both the landscape contractor and homeowner. Whether you are looking to create a patio, pool deck, walkway or entire new yard, we have what you need…Pavers, wall blocks, granite steps, fieldstone, crushed stone, round stone, river rock, mulch, crushed seashells, trees, shrubs, a full greenhouse & nursery, and equipment rentals too. From granite benches and mailboxes to wind chimes…we have it all. Prompt deliveries from Maine to Boston’s South Shore. It all started more than 21 years ago with a small pick up truck, a wheelbarrow, and a shovel. Now it’s a booming business with the potential to transform the meaning of landscaping. We’re different from other Landscaping Businesses in that we work with the nature. We recycle the loam and rocks that are already abundant in your own backyard to create unique walls and lawns. This process saves you money and us time. We take advantage of the available resources to create a beautiful backyard out of materials that you already have. Our designing methods are meant to blend with nature. We capture the potential and enhance the beauty to make your yard a beautiful place to come home to everyday and enjoy. C.F. Briggs Marine Construction is a Massachusetts based residential/commercial waterfront construction company and granite supplier. This family owned and operated business is dedicated to customer service and has developed a reputation for providing high-quality marine construction in New England for over 40 years. LOURIVAL MASONRY & LANDSCAPE was founded in 2002 focusing on all types of masonry and landscaping. We're committed to providing our clients with honest, dependable, fast and extraordinary service. Our staff is highly trained and will only treat you and your property with the utmost respect.We will always provide our clients with exceptional workmanship at the lowest possible price. By assisting you in developing and planning your ideas we can guide you smoothly through your masonry and landscaping projects proficiently. We use the finest materials and work in an fast and clean manor. With LOURIVAL MASONRY & LANDSCAPE, your satisfaction is always guaranteed. Hard work, dedication, trust and respect make up the foundation of LOURIVAL MASONRY & LANDSCAPE. We're dedicated not only to our perfected trade but also to you, our client. We will only do a job well done; perfection is the key with LOURIVAL MASONRY & LANDSCAPE. Our staff is proficient in all aspects of masonry and landscaping bringing many styles as well as many years of experience to our clients. We use the highest quality of materials so that you can have the highest quality of service. From the beginning of our project right down to the very end, we take pride in each step and never cut corners. Your satisfaction is the only thing that matters. If you’ve been dreaming of a beautifully landscaped property with a water feature or a concrete fire bowl but don’t know where to start or what landscape supplies to buy, it may be time to look into garden and landscape suppliers in your Massachusetts area. From retaining walls to raised garden beds, these professional vendors can make your backyard the oasis you’ve been longing for. What’s more, many of these professionals can help you take your ideas from design to installation and provide garden care and yard maintenance according to your Holliston, MA climate. Here are some related professionals and vendors to complement the work of garden & landscape supplies: Landscape Contractors, General Contractors, Landscape Architects & Landscape Designers. What if you would love to grow your own vegetables but have site limitations? Many garden supply companies offer planters and containers that are up to 42 inches tall. For those who live in colder climates, consider a greenhouse — just the thing to enjoy starting plants or growing exotic blossoms that wouldn’t quite work in your Holliston, MA climate. Find garden and landscape supplies on Houzz. Search the Houzz Professionals section for Holliston, MA garden and landscape supplies. Browse photos and read reviews. You can also explore full-service Massachusetts landscape architects and garden contractors.